How do you make something visually boring, interesting? 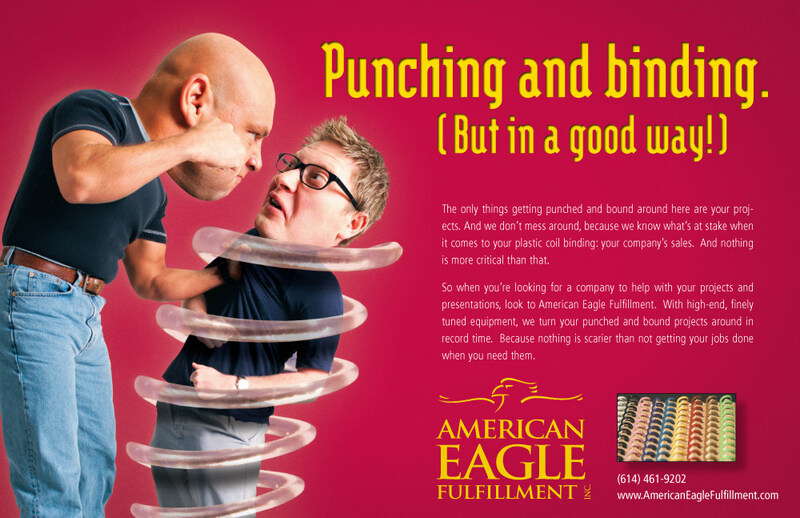 We were approached by American Eagle Printing to help promote their shrink wrapping, punching and binding, and laminating services to their current audience and prospects. 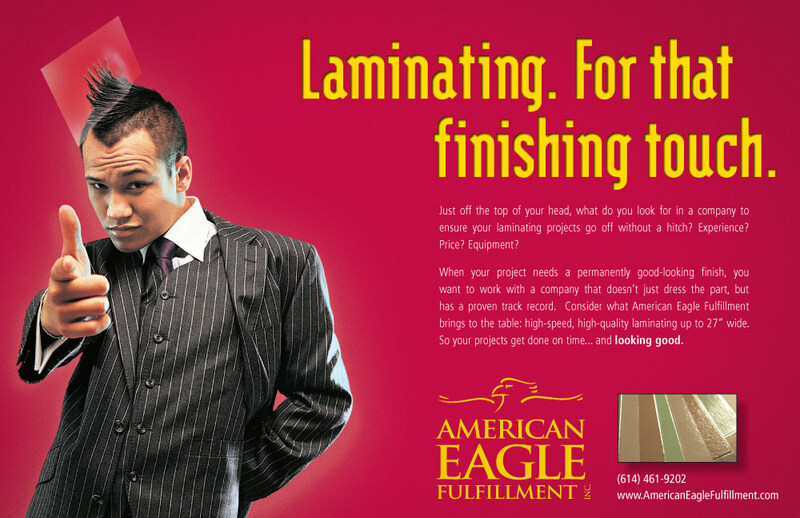 Since they were a printer, they wanted to send out a series of printed pieces promoting these new services. Trouble is, these services were pretty mundane. So we went about showing these services in a new light that would, at least, get the recipients attention. So we produced a series of postcards for their new services and off they went. Once the second card arrived, the recipients realized these were part of a series so they started noticing, and in some cases, keeping the previous postcards handy to see how the series progressed. American Eagle was happy with the postcards and the response, which is why we started out with three postcards and went to six.